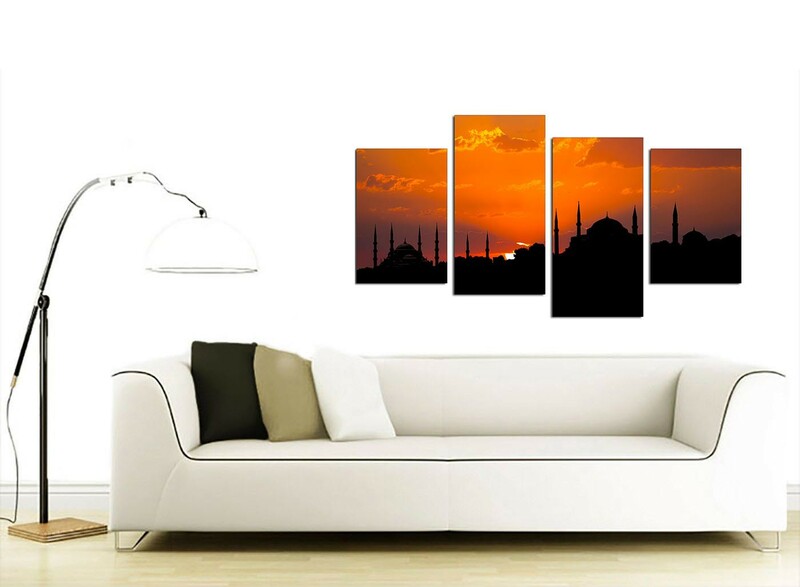 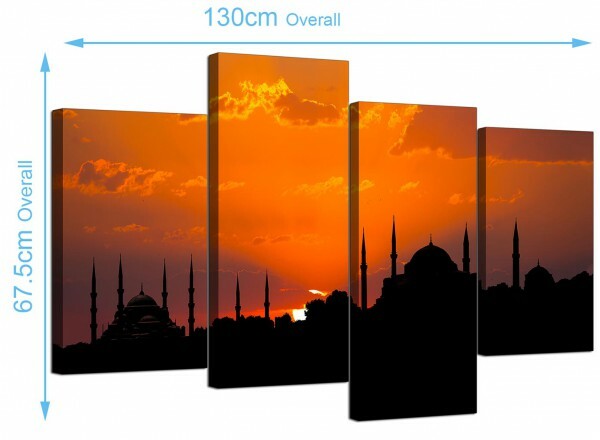 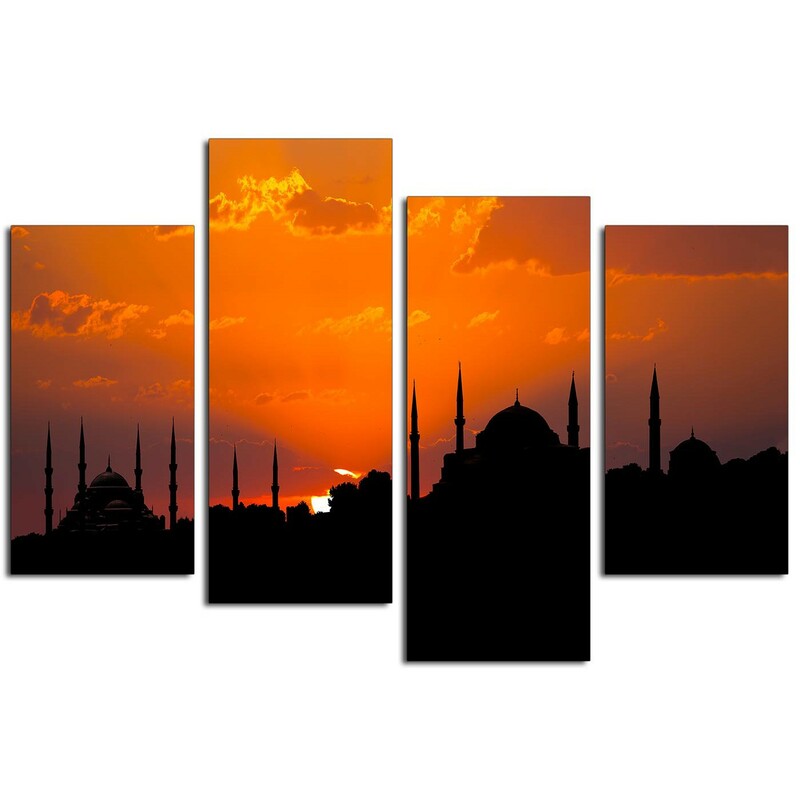 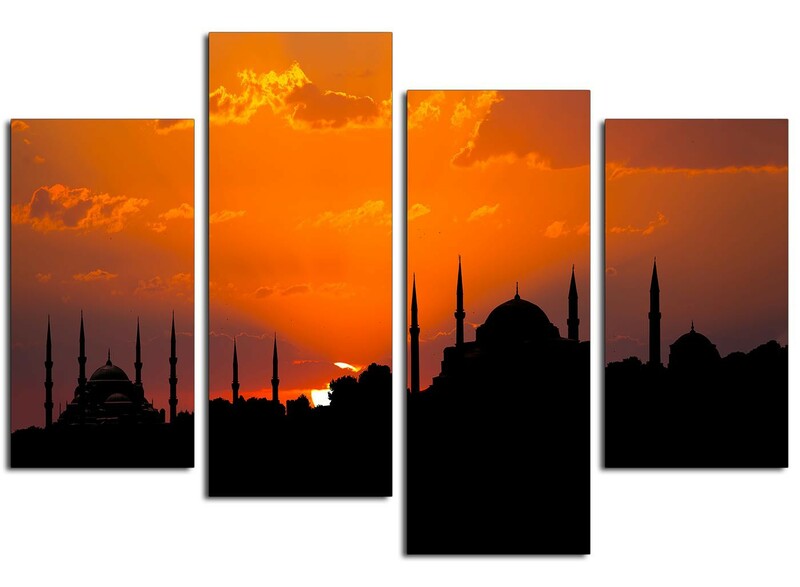 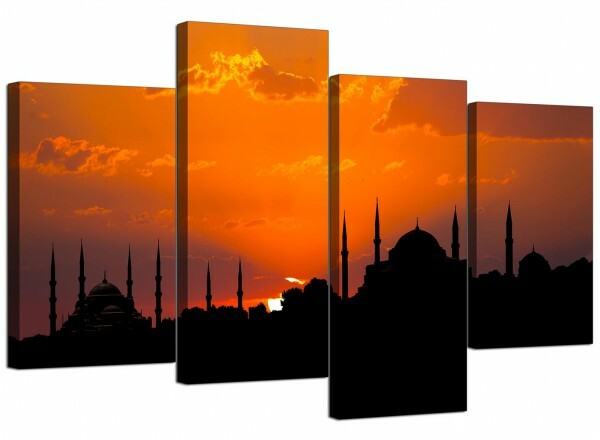 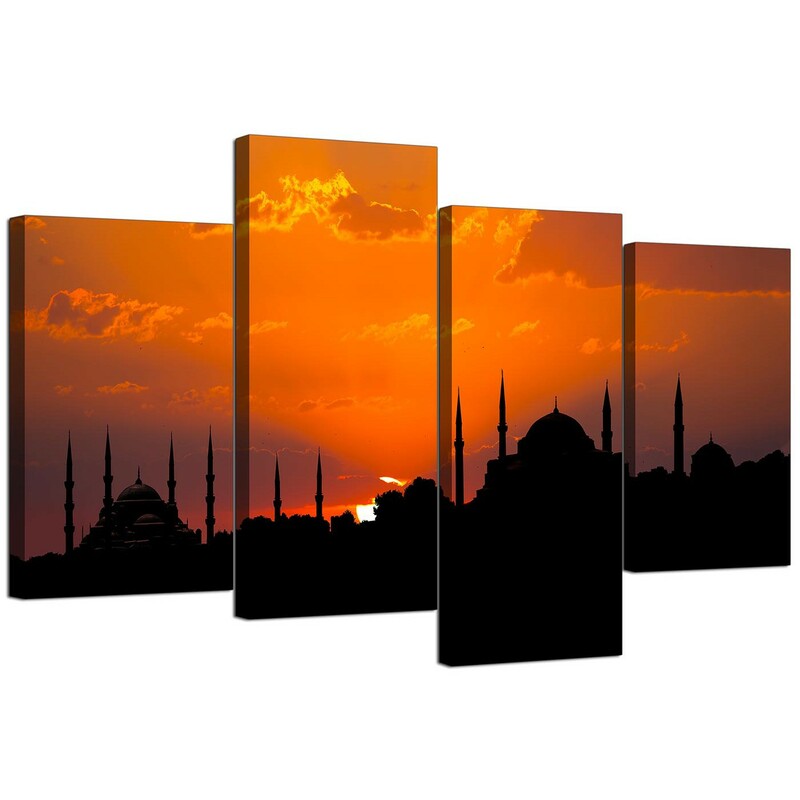 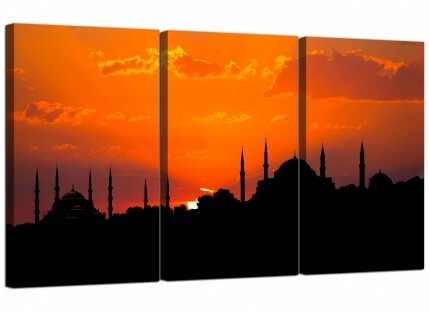 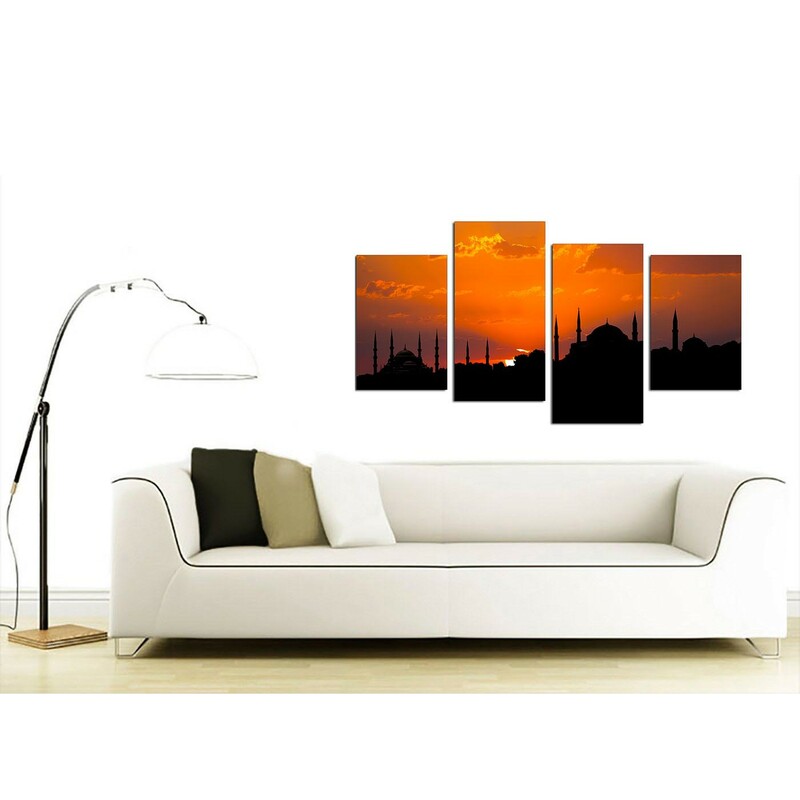 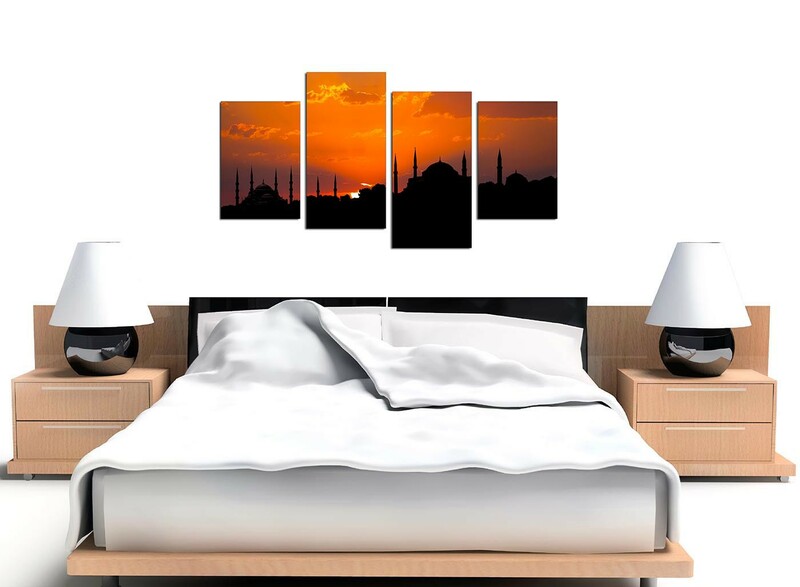 City canvas prints of the Istanbul skyline with the Blue Mosque and the Hagia Sophia silhouetted against an orange sunset. 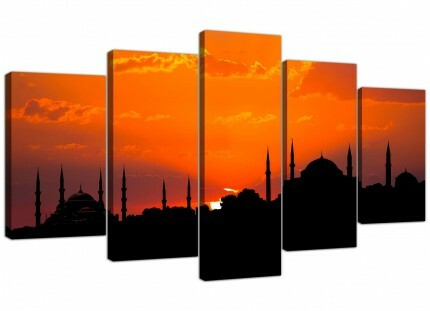 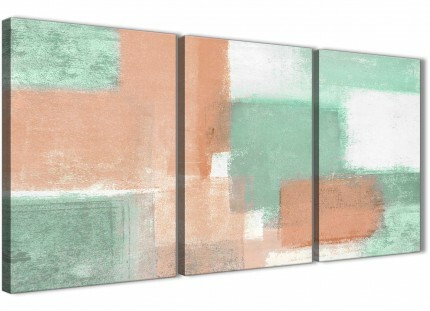 A large orange elegant set of 4 canvas prints. 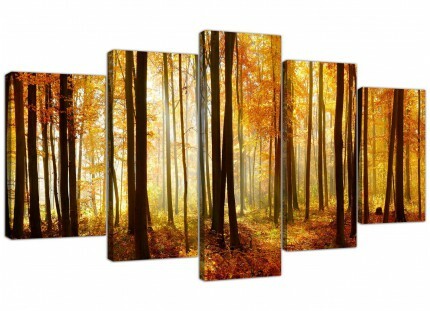 Britain's best loved canvas art gallery. 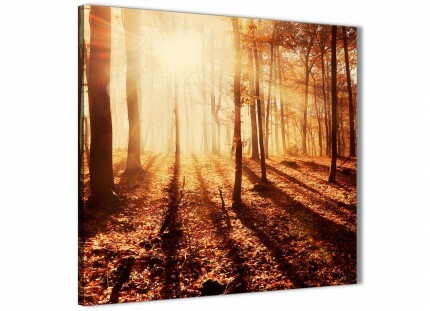 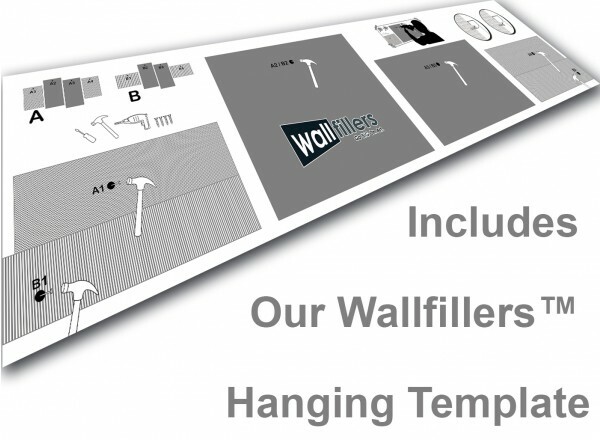 Our wall art is printed to the highest quality with fade proof inks. Dimensions: 130cm x 67cm (51.2 inch x 26.4 inch) inclusive of gaps. 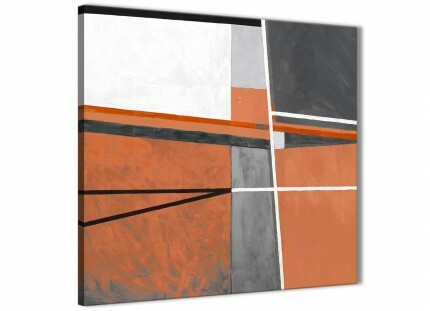 Both outer parts measure 30cm wide x 45cm high. 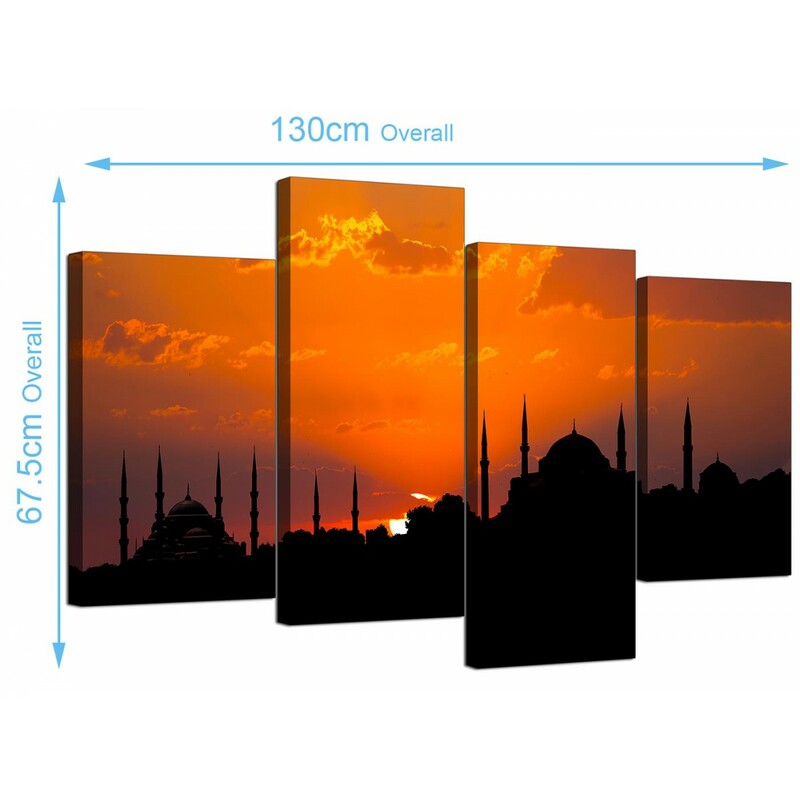 The two inner panels measure 30cm wide x 60cm high. 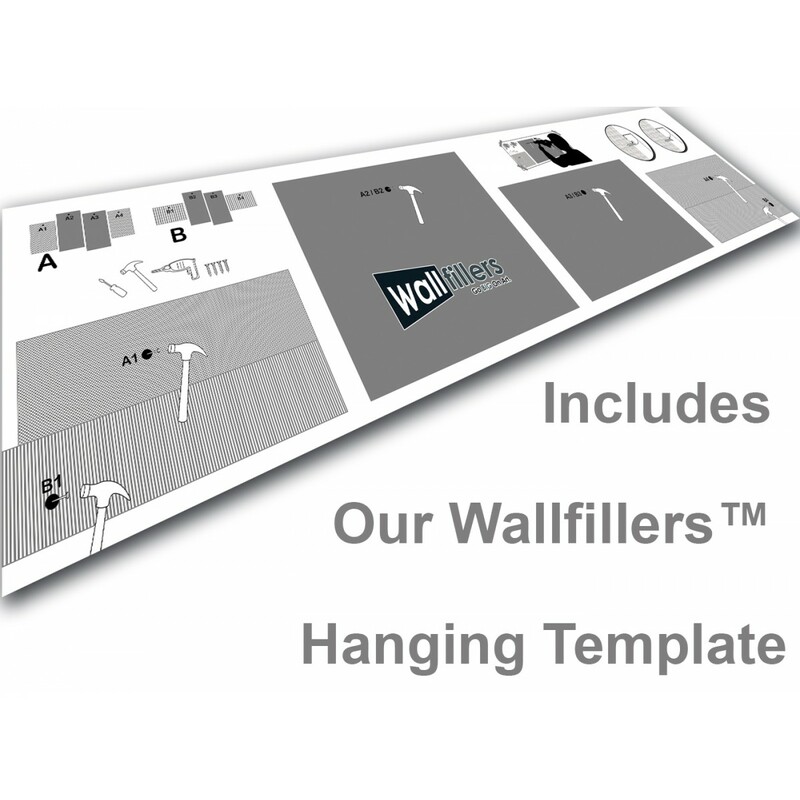 We recommend a space of 2.5cm between parts.